Mom! We are on high alert here. I almost killed you right then! You do not even realize! 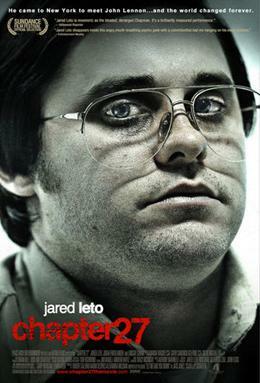 This is the movie that Jared Leto got fat for. It’s about Mark David Chapman, the guy who shot John Lennon. It was an all right movie. Nothing too special, but it was interesting to see what was going on in this guys head, and everything he did (or didn’t do) up until the murder. Pretty creepy, but pretty slow. I thought Leto did an excellent job. This is a movie from ’98, with George Clooney and Jennifer Lopez. It’s a comedy/romance/crime/everything else kind of movie. That may make it sound awesome. It’s not awesome…It’s not bad, but it’s not awesome. It was just your typical “that was a good movie” movie. 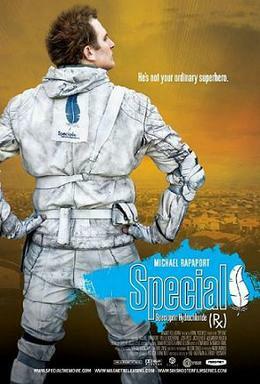 Special is about a guy who thinks he is meant for more than what he’s been doing in his life. He starts taking an experimental drug which, he believes, gives him super-human powers. He starts trying to fight crime with his new powers. It’s pretty amusing at times. It’s pretty emotional and heartfelt as well. This is an independent film, and I’m not sure if/when it’ll be available on DVD. It’s not the best movie I’ve seen in a while, but it’s worth a viewing if you get a chance. Maybe you have to listen to the show to really get this movie. I didn’t get it. It was interesting at times, but for the most part it was just boring. Seen any of these? Got anything to say? Bring it. I recommend coming out to the Oasis tomorrow night around 9 ‘o clock. My friend Hank’s band will be playing. They are called the Nathan Peek Band. We played with them a few weeks ago, and they rock. They are playing with a guy named Wess Floyd. Wess starts around 9, and NPB will start around 10. It was announced today that the group will be reuniting to play Live Earth. Except for the fact that the show will be in London. Not that I expected it to be in Birmingham. Hopefully it will be broadcast in some form or fashion. “It’s like, how much more black could this be? And the answer is none. And it’s only fitting to post it on the internet. boo for yesterday’s mmqm. did no one know it? or did no one care? Blades of Glory: wasn’t impressed. jon heder isn’t funny. will ferrell is hilarious. i think the writing in this movie was just really lacking. i’ll give it a seconds try, because i felt the same way about talladega nights at first viewing. Smokin’ Aces: violence in vegas. awesome. Stranger Than Fiction: really, really good. a much better pick for ferrell than blades. The Good Shepherd: too long, but really good. The Holiday: better than i thought it would be. The Science of Sleep: not as good as i thought it would be. The Decent: i don’t like “horror” movies. i think they are dumb. this one was better than dumb. The Fountain: i liked the idea, but it was just too weird for me. i think if they would’ve left out the futuristic stuff, and just gone with the present-day story and the story she wrote, i would’ve liked it way more. Unknown: don’t waste your time. Hollywoodland: i thought this was a very, very good movie. watch it. SherryBaby: very disturbing, but a very interesting movie. Running With Scissors: crap city. Lets Go To Prison: it was ok. just one of those “that was kind of funny” comedies. Night at the Museum: more of a children’s movie than i expected. as in, wow, that was dumb…maybe kids would like it? Idiocracy: i’ve heard this is one that you get into after multiple viewings. i hope that’s true. i just didn’t really think it was all that funny, and i love mike judge. i shall give it another go. Seen any of these? Agree/disagree? Well, not the actual show. 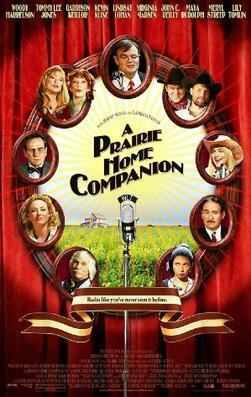 Although it may be very good, I’ve never seen it. and there are some amazing musical performances. Go HERE to listen to an awesome 8-minute jam by Ryan Adams and the Cardinals. Over on the right side, click “music” and look through the other performances. I especially liked Death Cab, Ben Folds (explicit, but oh so good) and Ben Harper. and i’ve been kind of addicted. i just think it’s fun. want one? send me some pictures. make sure you use a tripod (or mac w/isight) so the background doesn’t change. Pearl is Will Ferrell’s daughter. She is awesome. Warning: There is foul language, including from the kid.